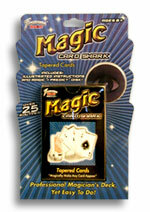 I have ordered from MJM Magic for a while now and am very happy with the speedy service and quality products. I will continue to order from them and I will spread the word to others and my friends. You will be happy with the entire process I promise you that. Thanks MJM Magic. Keep up the excellent work.